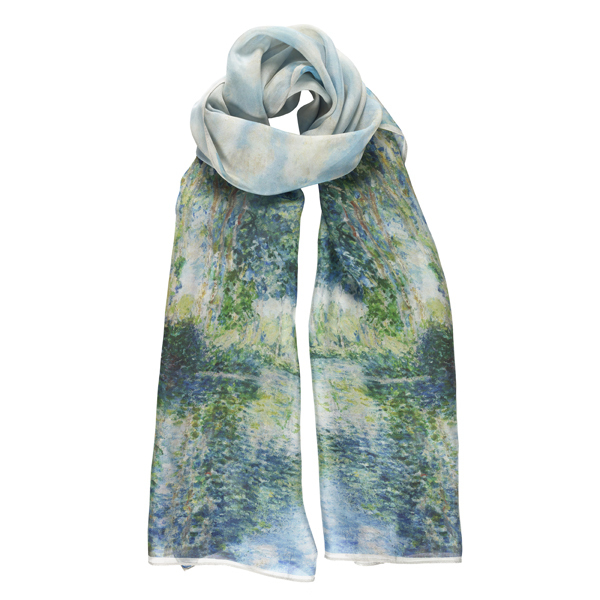 Silk scarf featuring Poplars on the Epte by Claude Monet, 1891, from the collection of the National Galleries of Scotland. 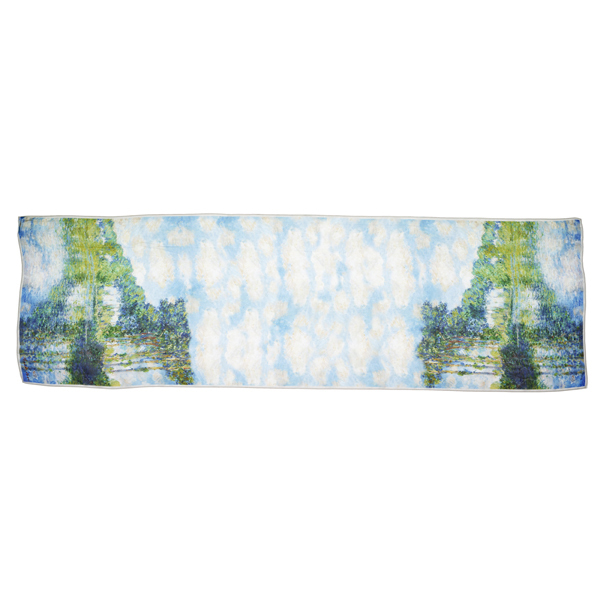 The mirrored composition is mirrored again to create this lovely long silk scarf. With its delicate greens and blues it is the perfect compliment to your summer outfits. This is a work from Monet's celebrated series of poplar paintings made between the spring and autumn of 1891, the year after he had settled in Giverny. He used a boat as a floating studio and captured beautifully the shimmering effects of sunlight on water. The trees were ready to be sold for timber, but Monet, in partnership with a timber merchant, bought the trees at auction so that he could continue painting them.